Despite all of the cracks around the country about New Jersey, it is called the Garden State for a reason. We have some of the most amazing fresh fruits and vegetables in the United States. A bounty of harvested produce makes it way, each year, from June to November, to various farmers markets across the state which take place on an almost daily basis. I am sorry to say, that even though I live in this state since I was 10 year old, it wasn’t until recently that I started to visit the local towns’ farmers’ markets – there are about 20 of them in a 20 minute drive radius from my home. That changed. One gorgeous Sunday morning, about 2 months ago, I had nothing to do and no food in the fridge and if you have ever tried to go to a supermarket on a Sunday, you know what a madhouse it can be. So , I went to a farmers’ market in Denville, NJ. I was amazed by all of the vendors, which not only included produce farmers, but also pickle makers, fresh pasta and cheese makers, sea salt and honey vendors and homemade soup vendors. At this particular farmers’ market, one of the vendors is a Silver Birch Kitchens, a gourmet café and market whose physical location is Long Valley, New Jersey. At this particular farmers’ market the proprietors sell all natural, whole food soups. And let me tell you, I have become obsessed! They have a sweet potato bisque that sent me to heaven, and a loaded baked potato soup which almost caused me to lick the hot pot just to get every drop. I have tried many of their soups and each one is better than the one before, and I didn’t think it was possible. Then, two weeks ago, I stopped back at the farmers market to pick up some more of their soups. 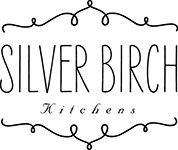 Marc, who owns Silver Birch Kitchens with his wife, Jessica, told me that they were out of my favorite soup but if I sent an email they would provide me with a list of all of their soups and I could order and pick it up at the farmers’ market the next weekend. I sent that email, and Jessica, whom I have never met, graciously sent me a list of all of their soups, but told me that since she was pregnant and due that day, I should keep in touch with her to make sure that the soups I wanted would be at the farmers’ market when I arrived. This has resulted in a two week email relationship in which Jessica (who was two weeks past due) kept in touch to make sure that I knew exactly what was going on. This just floored me – she was more concerned about making sure I got the soups than the fact that she was on the way to hospital to have a baby! When I read the emails the next morning, I quickly sent an email to tell her not to worry about the soups and wished her good luck with the delivery and birth. But I sat at my computer thinking that if every attorney was as concerned with making sure their clients were as informed about their cases as she was about my soups, they would be happier with their attorneys. But even more importantly, from a business development standpoint, keeping your clients reasonably informed (and not nickel and diming them for doing so), will cause them to have great feelings about the work you are doing for them, regardless of the results. Seriously, how long did it take Jessica to send me a quick update each time I sent her an email? Maybe 3 minutes? The upshot will be referrals from these clients and great word of mouth. Their yelp reviews prove it. Think about it – I am currently writing a post about an amazing restaurant/cafe with its unbelievable soups (which, by the way, are some of the most delicious comfort soups you can have during the winter) and its owners to all of the people who read my blog. And it is my pleasure to do so! P.S. It was a girl and I am heading to the farmers’ market this Sunday to pick up my soups and see some pictures.